The differences between PSP models aren't huge, but of the four models (PSP-1000, PSP-2000, PSP-3000, and PSPgo) each one is a little better than the others for a specific use. Which PSP is best for you depends entirely on what you are planning to do with it. The first thing to consider when buying a PSP is to determine whether you will use it to run homebrew programming, or you plan to use it for games and movies that are available in retail shops or from the PlayStation Network. Most buyers are unlikely to run homebrew. It takes considerably more work than retail games, and it requires some knowledge of programming. If you are an avid homebrew programmer, though, you'll want to make sure to get the best model for that purpose. It is possible to run homebrew on both the PSP-2000 and PSP-3000, but for the fullest possible homebrew experience, the PSP-1000 is still the model of choice, especially if you can get one that already has firmware version 1.50 installed. You won't be able to find a PSP-1000 new on the shelves, but you might come across a used one at your local game shop, and you can probably still find one on eBay. You'll pay more for a PSP-1000 with firmware 1.50 installed, but if you're going to be playing with homebrew anyway, you can make downgrading the firmware your first project and buy a PSP-1000 with a later firmware version to save a bit of money. If you're looking for a machine to play retail games and movies or PlayStation Network content, then either the PSP-2000 or PSP-3000 is your best bet. The main difference between the two models is the screen. 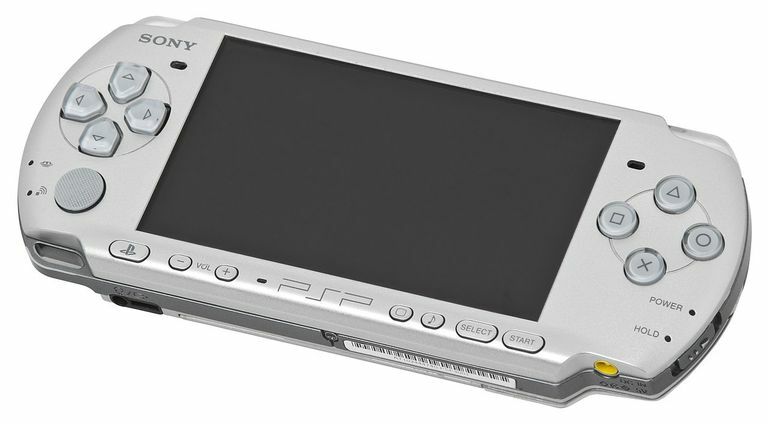 The PSP-3000 has a brighter screen, but some users saw scan lines when playing certain games. Most players probably wouldn't even notice, but if you're picky about graphics, stick with the PSP-2000. You're most likely to find the PSP-2000 online in special edition bundles like the "God of War" bundle with its red PSP-2000, or the "Madden" bundle with its blue PSP-2000. If you can't find one new, try buying it used at your local game shop, eBay, or Amazon. If you're excited about downloading games and movies and don't care if you ever see a UMD game or movie again, you might consider the PSPgo. It's smaller than the previous PSP models. You could carry in a normal-sized pocket. The PSPgo also has the highest cool factor (you really can't beat that sliding screen) but you'll pay for it. The PSPgo also costs considerably more than the PSP-3000. Aside from the higher price, the main drawback of the PSPgo is the lack of UMD drive. To make the machine smaller and faster than its predecessors and fit in that 16GB of internal memory, Sony had to let something go: the optical drive. If you have games on UMD, you won't be able to play them on the PSPgo, so you'll probably want to choose a different model. If you intend to download all your games anyway, don't want to run homebrew, and need super-small portability, then the PSPgo is the PSP for you. Most users are going to want the best value for their dollar, which they'll find in the PSP-3000. It's not as small and thus not as portable as the PSPgo, and it doesn't have any internal memory, but it does have a UMD drive, and memory sticks don't take up much room in your pocket. With the right memory stick, you might not even need more than the one in the memory stick slot of the PSP. For the flexibility of being able to play both downloaded and UMD games and movies (which any PSP model besides the PSPgo can do with a big enough memory stick, and for the lower cost and easy availability compared to earlier models, the PSP-3000 is the best choice for most gamers. Like the earlier models, but unlike the PSPgo, the PSP-3000 also has a user-replaceable battery, which is handy if you own the machine long enough for the rechargeable battery to start wearing out.